Kelowna is a destination that&apos;s open to everyone, and with so many activities to choose from it caters to visitors who are up for anything! With LGBTQ2+ travel on the rise, we want to ensure visitors know what Kelowna and area have to offer. 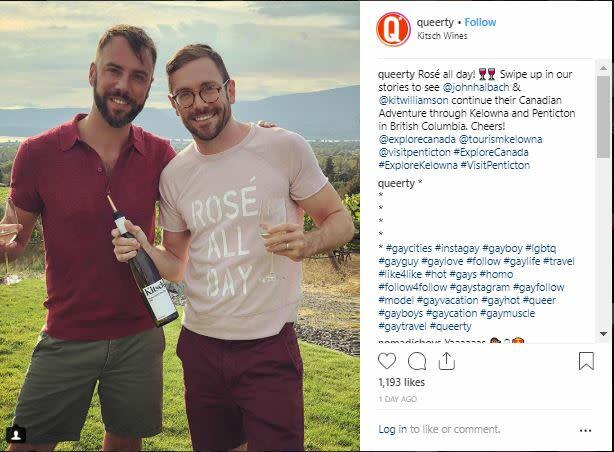 Recently, Tourism Kelowna and Travel Penticton teamed up to introduce and invite LGBTQ2+ travellers from the USA to come up and discover our incredible wine and food scene, and our great outdoors. As part of Destination Canada&apos;s Connecting America&apos;s Co-op Marketing Program, this campaign featured Montreal, Quebec, and Calgary and Edmonton, Alberta. Television and social media personalities (and real-life couple), John Halbach and Kit Williamson visited Kelowna in late August with a film crew as they sipped, sampled, hiked, kayaked, and danced their way through the Okanagan. Kit and John star together in the Emmy-nominated Netflix Series, EastSiders, and have a combined social media reach of over 300K. 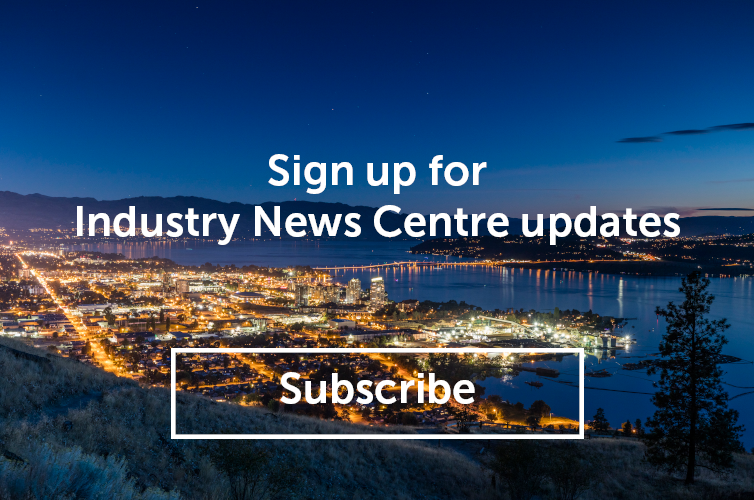 A city guide is now live on GayCities website for Kelowna and Penticton. 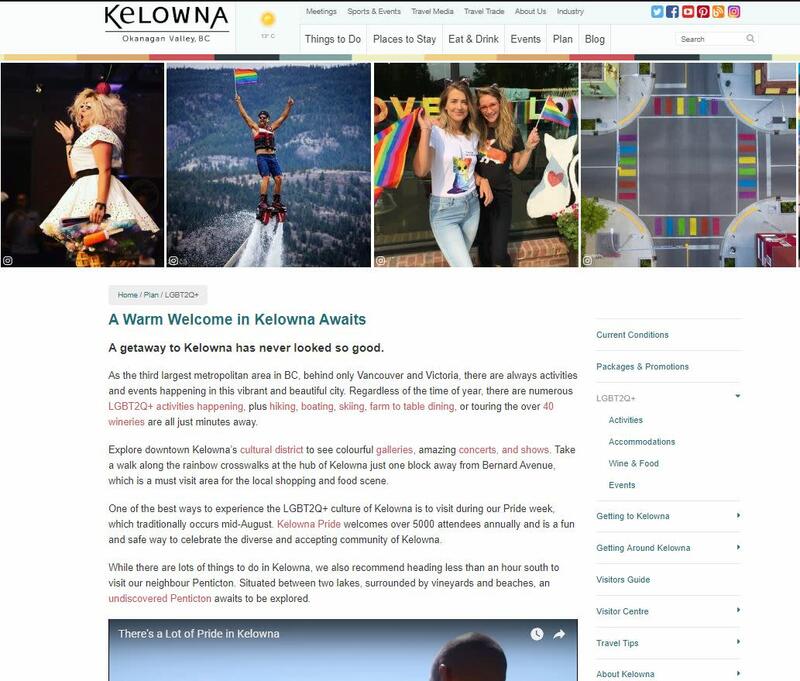 Tourism Kelowna has also added additional pages to tourismkelowna.com for LGBTQ2+ audiences, with more content on the way. 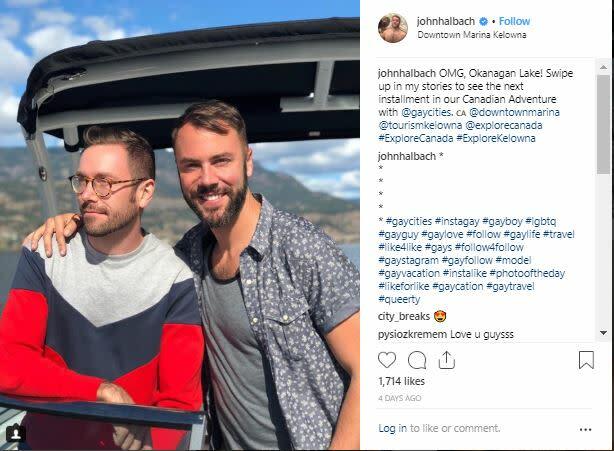 Digital advertising and social media posts targeting LGBTQ2+ travelers in Seattle and the Pacific Northwest, and New York, will generate further interest in the content. Watch the video of John and Kit&apos;s time in the Okanagan Valley. We think they had a good time and have piqued the interest of more who want to come and see what Kelowna and area have to offer.